Ackermann, Wilhelm, Solvable Cases of the Decision Problem. North-Holland Publishing Company, 1962. Agar, John. 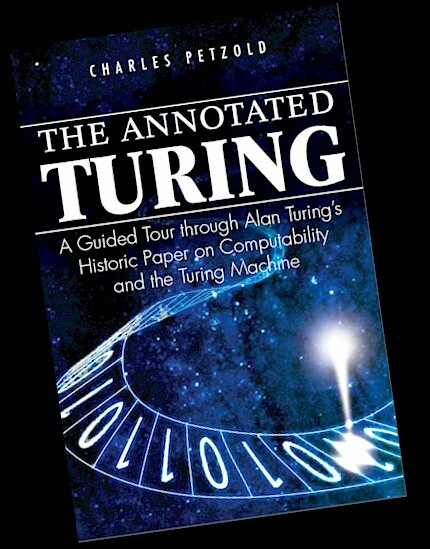 Turing and the Universal Machine: The Making of the Modern Computer. Icon Books, 2001. Arbib, Michael A. Brains, Machines, and Mathematics. McGraw-Hill, 1964. Aspray, William. John von Neumann and the Origins of Modern Computing. MIT Press, 1990. Beth, Evert W. The Foundations of Mathematics: A Study in the Philosophy of Science, second edition. North-Holland, 1964; Harper & Row, 1966. Boolos, George S., John P. Burgess, and Richard C. Jeffrey. Computability and Logic, fourth edition. Cambridge University Press, 2002. Börger, Egon, Erich Grädel, and Yuri Gurevich. The Classical Decision Problem. Springer, 1997, 2001. Boyer, Carl B. A History of Mathematics, second edition revised by Uta C. Merzbach. John Wiley & Sons, 1989. Cantor, Georg. Contributions to the Founding of the Theory of Transfinite Numbers, translated and with an introduction by Philip E. B. Jourdain. Open Court, 1915; Dover, 1955. Carpenter, B. E. and R. W. Doran. A. M. Turing’s ACE Report of 1946 and Other Papers. MIT Press, 1986. Ceruzzi, Paul E. A History of Modern Computing, second edition. MIT Press, 2003. Ceruzzi, Paul E. Reckoners: The Prehistory of the Digital Computer, from Relays to the Stored Program Concept, 1935–1945. Greenwood Press, 1983. Chaitin, Gregory. Meta Math! The Quest for Omega. Vintage Books, 2005. Chaitin, Gregory. Thinking about Gödel and Turing: Essays on Complexity, 1970-2007. World Scientific, 2007. Church, Alonzo. The Calculi of Lambda-Conversion. Princeton University Press, 1941. Church, Alonao. Introduction to Mathematical Logic. Princeton University Press, 1956. Clark, Andy and Peter Millican, eds. Connectionism, Concepts, and Folk Psychology: The Legacy of Alan Turing, Vol. 2. Clarendon Press, 1996. Conway, Flo and Jim Siegelman, Dark Hero of the Information Age: In Search of Norbert Wiener, the Father of Cybernetics. Basic Books, 2005. Copeland, B. Jack. Alan Turing’s Automatic Computing Engine. Oxford University Press, 2005. Copeland, B. Jack. The Essential Turing. Oxford University Press, 2004. Dauben, Joseph Warren. Georg Cantor: His Mathematics and Philosophy of the Infinite. Princeton University Press, 1979. Davis, Martin. Computability and Unsolvability. McGraw-Hill, 1958; Enlarged edition, Dover, 1982. Davis, Martin. The Universal Computer: The Road from Leibniz to Turing. W. W. Norton, 2000. Published in paperback under the title Engines of Logic: Mathematics and the Origin of the Computer. Davis, Martin, ed. The Undecidable: Basic Paper on Undecidable Propositions, Unsolvable Problems and Computable Functions. Raven Press, 1965. Dawson, John W. Jr. Logical Dilemmas: The Life and Work of Kurt Gödel. A. K. Peters, 1997. DeLong, Howard. A Profile of Mathematical Logic. Addison-Wesley, 1970; Dover, 2004. Dennett, Daniel. Consciousness Explained. Back Bay Books, 1991. Devlin, Keith. Mathematics: The New Golden Age. Penguin, 1988. Enderton, Herbert B. A Mathematical Introduction to Logic, second edition. Harcourt, 2001. Epstein, Richard L. and Walter A. Carnielli. Computability: Computable Functions, Logic, and the Foundations of Mathematics, second edition. Wadsworth, 2000. Eves, Howard. Foundations and Fundamental Concepts of Mathematics, third edition. PWS-Kent, 1990; Dover, 1997. Ewald, William. From Kant to Hilbert: A Source Book in the Foundations of Mathematics, in two volumes. Clarendon Press, 1996. Franzén, Torkel. Gödel’s Theorem: An Incomplete Guide to It’s Use and Absue. A. K. Peters, 2005. Gödel, Kurt. Collected Works, Volume I: Publications 1929–1936, edited by Solomon Feferman et. al. Oxford University Press, 1986. Gödel, Kurt. Collected Works, Volume II: Publications 1938–1974, edited by Solomon Feferman et. al. Oxford University Press, 1990. Gödel, Kurt. Collected Works, Volume III: Unpublished Essays and Lectures, edited by Solomon Feferman et. al. Oxford University Press, 1995. Goldstein, Rebecca. Incompleteness: The Proof and Paradox of Kurt Gödel. W. W. Norton, 2005. Goldstern, Martin and Haim Judah. The Incompleteness Phenomenon: A New Course in Mathematical Logic. A. K. Peters, 1995. Gratten-Guiness, I. The Search for Mathematical Roots, 1870­–1940: Logics, Set Theories and the Foundations of Mathematics from Cantor through Russell to Gödel. Princeton University Press, 200. Gray, Jack and Keith Thrower. How the Turing Bombe Smashed the Enigma Code. Speedwell, 2001. Heath, Sir Thomas L. Diophantus of Alexandria: A Study in the History of Greek Algebra, second edition. Cambridge University Press, 1910; Dover, 1964. Heims, Steve J. John von Neumann and Norbert Wiener: From Mathematics to the Technologies of Life and Death. MIT Press, 1980. Herkin, Rolf, ed. The Universal Turing Machine: A Half-Century Introduction. Oxford University Press, 1988. Second edition, Springer-Verlag, 1995. Hilbert, David and Wilhelm Ackermann. Grundzüge der Theoretischen Logik. Springer, 1928. Second edition, Springer, 1938; Dover, 1946. Hilbert, David and Wilhelm Ackermann. Principles of Mathematical Logic (translation of the second German edition of Grundzüge der Theoretischen Logik). Chelsea, 1950. Hodges, Andrew. Alan Turing: The Enigma. Simon and Schuster, 1983. Hodges, Andrew. Turing: A Natural Philosopher. Phoenix, 1997. Hofstadter, Douglas R. Gödel, Escher, Bach: an Eternal Golden Braid. Basic Books, 1979. Hunter, Geoffrey. Metalogic: An Introduction to the Metatheory of Standard First Order Logic. University of California Press, 1971. Kleene, Stephen Cole. Introduction to Metamathematics. Van Nostrand, 1952. Kleene, Stephen Cole. Mathematical Logic. John Wiley & Sons, 1967; Dover, 2002. Kline, Morris. Mathematics: The Loss of Certainty. Oxford University Press, 1980. Kneale, William and Martha Kneale. The Development of Logic. Clarendon Press, 1962. Leavitt, David. The Man Who Knew Too Much: Alan Turing and the Invention of the Computer. W. W. Norton, 2006. Levin, Janna. A Madman Dreams of Turing Machines. Alfred A. Knopf, 2006. Lewis, C. I. A Survey of Symbolic Logic. Univesity of California Press, 1918; Dover, 1960. Mancosu, Paolo. From Brouwer to Hilbert: The Debate on the Foundations of Mathematics in the 1920s. Oxford University Press, 1998. Matiyasevich, Yuri M. Hilbert’s Tenth Problem. MIT Press, 1993. Mendelson, Elliott. Introduction to Mathematical Logic, fourth edition. Chapman & Hall, 1997. Millican, Peter and Andy Clark, eds. Machines and Thought: The Legacy of Alan Turing, Vol. 1. Clarendon Press, 1996. Niven, Ivan. Numbers: Rational and Irrational. Mathematical Association of America, 1961. Ore, Oystein. Number Theory and Its History. McGraw-Hill, 1948; Dover, 1988. Peano, Giuseppe. Selected Works of Giuseppe Peano, translated and edited by Hubert C. Kennedy. George Allen & Unwin, 1973. Penrose, Roger. The Emperor’s New Mind: Concerning Computers, Minds, and the Laws of Physics. Oxford University Press, 1989. Petzold, Charles. Code: The Hidden Language of Computer Hardware and Software. Microsoft Press, 2000. Phillips, Esther R., ed. Studies in the History of Mathematics (MAA Studies in Mathematics, Volume 26). Mathematical Association of America, 1987. Prager, John. On Turing. Wadsworth, 2001. Quine, Willard Van Orman. Mathematical Logic, revised edition. Harvard University Press, 1951, 1981. Reid, Constance. Hilbert. Springer-Verlag, 1970, 1996. Reid, Constance. Julia: A Life in Mathematics. Mathematical Association of America, 1996. Robinson, Julia. The Collected Works of Julia Robinson, edited by Solomon Feferman. American Mathematical Society, 1996. Russell, Bertrand. Introduction to Mathematical Philosophy, second edition. George Allen & Unwin, 1920; Dover, 1993. Russell, Bertrand. The Principles of Mathematics. 1903; TK. W. W. Norton, 1996? Shanker, S. G., ed. Gödel’s Theorem in Focus. Routledge, 1988. Sipser, Michael. Introduction to the Theory of Computation. PWS, 1997. Teuscher, Christof, ed. Alan Turing: Life and Legacy of a Great Thinker. Springer, 2004. Tiles, Mary. The Philosophy of Set Theory: An Historical Introduction to Cantor’s Paradise. Basil Blackwell, 1989; Dover, 2004. Turing, A. M. Collected Works of A. M. Turing: Mathematical Logic, edited by R. O. Gandy and C. E. M. Yates. Elsevier, 2001. Turing, A. M. Collected Works of A. M. Turing: Mechanical Intelligence, edited by D. C. Ince. North-Holland, 1992. Turing, A. M. Collected Works of A. M. Turing: Morphogenesis, edited by P. T. Saunders. North-Holland, 1992. Turing, A. M. Collected Works of A. M. Turing: Pure Mathematics, edited by J. L. Britton. North-Holland, 1992.
van Atten, Mark. On Brouwer. Wadsworth, 2004.
van Heijenoort, Jean. From Frege to Gödel: A Source Book in Mathematical Logic, 1879–1931. Harvard University Press, 1967.
von Neumann, John. The Computer and the Brain. Yale University Press, 1958. Wang, Hao. Popular Lectures on Mathematical Logic. Van Nostrand Reinhold, 1981; Dover, 1993. Wang, Hao. Reflections on Kurt Gödel. MIT Press, 1987. Whitehead, Alfred North and Bertrand Russell. Principia Mathematics to *56. Cambridge University Press, 1962. Whitemore, Hugh. Breaking the Code. Fireside Theatre, 1987. Wiener, Norbert. Cybernetics, or Control and Communication in the Animal and Machine. John Wiley & Sons, 1948. Second edition, MIT Press, 1961. Wilder, Raymond L. Introduction to the Foundations of Mathematics. John Wiley & Sons, 1952. Stephen Wolfram. A New Kind of Science. Wolfram Media, 2002. Yates, David M. Turing’s Legacy: A History of Computing at the National Physical Laboratory 1945–1995. Science Museum (London), 1997.